For Ivy Tech Northeast to start a baseball program, Chancellor Jerrilee K. Mosier needed to see that it would be self-sustaining financially. 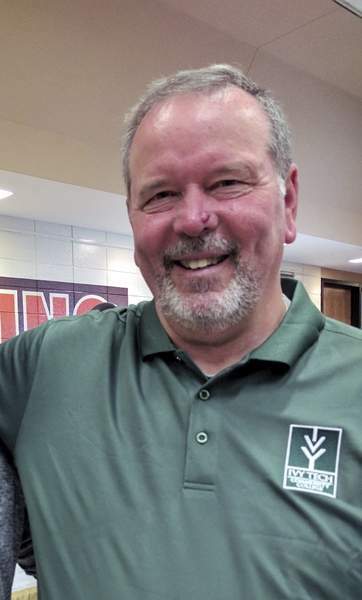 Confident that sponsorships and private donations would cover the cost of the first intercollegiate sport on any Ivy Tech campus, Fort Wayne's branch of the community college moved forward Wednesday with the official announcement of a team called the Titans. Lance Hershberger, hired as coach, said the new program's application for membership in the National Junior College Athletic Association is “a given” to be accepted. The next step would be joining a conference, perhaps the Michigan Community College Athletic Association. Ivy Tech would be a Division II member of the NJCAA, and this state already has two Division II baseball programs, Ancilla and Vincennes. The former belongs to the Michigan conference Hershberger mentioned. Division II schools are allowed to offer athletic scholarships to cover the full costs of tuition and supplies but not room and board. At Wednesday's news conference, Ivy Tech officials made a point of pushing a fundraising effort for scholarships. What they called “crowdfunding” has pulled in more than $6,000 to date, as the school has been exploring this vision for about two years. For it to become reality, Mosier required answers to plenty of questions, particularly those relative to money. Indiana Rep. Bob Morris, R-Fort Wayne, has been a key figure in the push and said Ivy Tech Northeast's greater enrollment made it an opportune branch to launch an intercollegiate sport. Hershberger, who used to coach Indiana Tech and led the Warriors to the NAIA World Series five times, filled out his new staff with four assistants with local ties – Connor Wilkins played at Concordia and Indiana Tech; Dru Sebastian played at Blackhawk Christian and IPFW; Todd Armstrong played at DeKalb; and Mark DeLagarza is the former coach of Southern Wells. The Titans will play at Shoaff Park and practice there in-season. During the winter, Ivy Tech will train and practice at Strikezone Training Center, with all costs covered by the nonprofit Community Impact Zone. Hershberger, desirous of having his own field rather than sharing one with Bishop Dwenger, said a site has been targeted behind the Innovation Center on Stellhorn Road. Merely preparing the land, Hershberger said, would require raising around $250,000. Despite Hershberger's optimism, Ivy Tech spokesman Andrew D. Welch clarified that no plans are in the works and that an on-campus field is unlikely to happen any time soon. The name Titans was selected because student groups voted in recent years to make that the name for club basketball and soccer.